My initial studies and practice of Visceral Manipulation was through the Upledger Institute in Palm Beach Gardens, Florida and under the primary tutelage of Frank Lowen who was the Program Director worldwide and was a major contributor for the development of the content of the Visceral Manipulation training program as it is today. I utilize Visceral Manipulation with most of my treatments, as it is an extremely valuable treatment and diagnostic tool. I have over 320 hours of classroom studies and clinical practice, and over 350 hours of experience as an Assistant in classroom and clinical settings. Additionally, I worked as a Visiting Therapist for the Upledger Institutes’s Brain and Spinal Cord Dysfunction Center in Palm Beach Gardens, Florida in 1995/1996. While working in the Brain and Spinal Cord Dysfunction Center, I led the first Therapist Team in a Pilot Program to treat patients in the water with Dolphins at the Dolphin Research Institute at Grassy Key, Florida in 1995. Subsequently, I worked with and treated patients in the water with Dolphins on numerous occasions and in several different locations using Cranial Sacral Therapy, Visceral Manipulation and other therapeutic modalities. 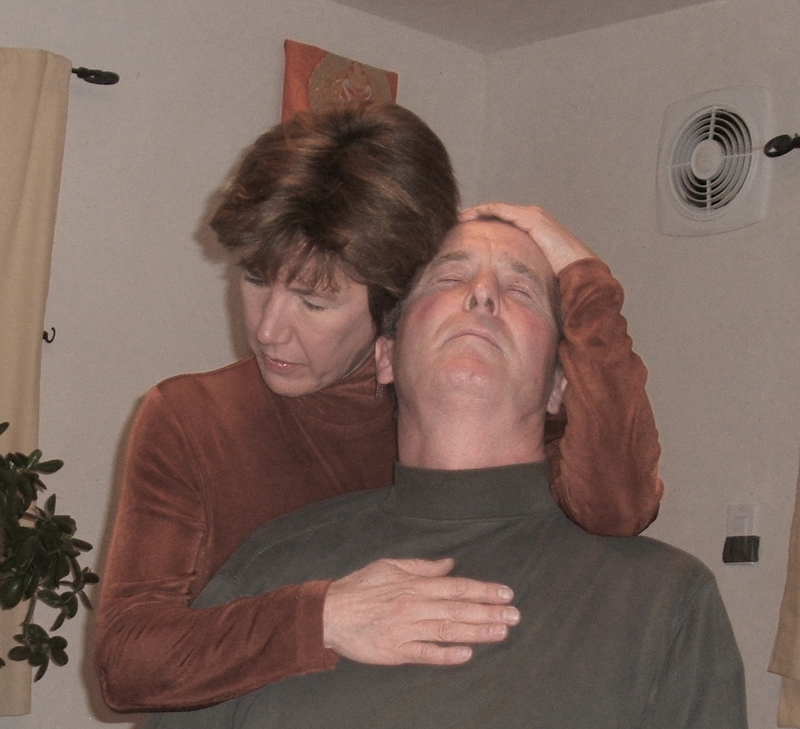 I organized and supervised a Cranial Sacral Therapy and Visceral Manipulation Study Group in Santa Fe, NM in 1998/1999. Visceral Manipulation is now organized and taught through the Barral Institute. Previously, it was organized through the Upledger Institute, Inc. Most of the following information about Visceral Manipulation comes directly from the Upledger Institute, Inc. brochures. Developed by French osteopath Jean-Pierre Barral, Viscerall Manipulation (VM) is a gentle manual therapy that enhances the mobility and tissue motion of the organs of the visceral system. These delicate techniques can alter and improve the entire body by enhancing the structure of the organs and the systems they function within. At optimum health, there is a synchronistic, interconnected motion between all the body’s organs. Hypertonicity, displacement and adhesions, however, can all cause organs to work against each other, as well as the body’s muscular, membranous, fascial and osseous structutes. These disturbances can create chronic irritation and abnormal points of tension that can pave the way for disease and dysfunction. By encouraging the normal, healthy mobility of the visera and there connective tissues, the specific manual techniques of Visceral Manipulation help the body maintain its natural health. Jean-Pierre Barral, R.P.T., D.O., based his methods on the innovative theory that each internal organ rotates on a physiological axis. Dr. Barral was a director of the Department of Osteopathic Manipulation at the University of Paris School of Medicine, and is the author of Visceral Manipulation, Viceral Manipulation II, The Thorax, Urogenital Manipulation and Manual Thermal Diagnosis. After many years of studying with Dr. Barral, Frank Lowen, M.T., expanded, refined and structured the Visceral Manipulation workshops into a comprehensive, intensive training program. He was program director for The Upledger Institute worldwide for over 10 years. Visceral Manipulation is recognized by the International Alliance of Healthcare Educatiors (IAHE), a coalition of healthcare instructors and curriculum developers dedicated to the advancement of progressive therapeutic modalities. Rebecca’s wide spectrum of treatment talents and understanding extend from the practical and physical to the sublime and spritual dimensions of process. We keep coming back to both Rebecca and the dolphins because the work has profound physical and emotional benefits.